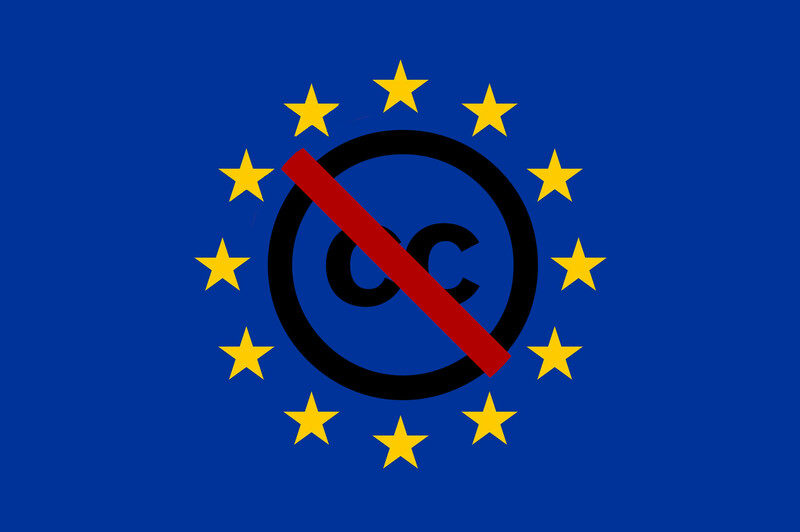 All this month, the European Union's "trilogue" is meeting behind closed doors to hammer out the final wording of the new Copyright Directive, a once-noncontroversial regulation that became a hotly contested matter when, at the last minute, a set of extremist copyright proposals were added and voted through. One of these proposals is Article 11, the "link tax," which requires a negotiated, paid license for links that contain "excerpts" of news stories. The Directive is extremely vague on what defines a "link" or a "news story" and implies that an "excerpt" consists of more than one single word from a news-story (many URLs contain more than a single word from the headline). Article 11 is so badly drafted that it's hard to figure out what it bans and what it permits (that's why we've written to the trilogue negotiators to ask them to clarify key points). What can be discerned is deeply troubling. Once you get through the eurocratese here, Recital 32 suggests that (1) anyone who wants to link to the news has to have a separate, commercial license; and (2) news companies can't waive this right, even through Creative Commons licenses and other tools for granting blanket permission. Many news organizations allow anyone to link to their work, including some of the world's leading newsgatherers: ProPublica ("ProPublica's mission is for our journalism to have impact, that is for it to spur reform"), Global Voices (a leading source of global news written by reporters on the ground all over the planet), and many others. These Creative Commons news entities often rely on public donations to do their excellent, deep, investigative work. Allowing free re-use is a key way to persuade their donors to continue that funding. Without Creative Commons, some of these news entities may simply cease to exist. Beyond sources of traditional news, an ever-growing section of the scholarly publishing world (like the leading public health organisation Cochrane) make some or all of their work available for free re-use in the spirit of "open access" -- the idea that scholarship and research benefit when scholarly works are disseminated as freely as possible. Article 11's trampling of Creative Commons and open access isn't an accident: before link taxes rose to the EU level, some EU countries tried their own national versions. When Germany, tried it the major newspapers simply granted Google a free license to use their works, because they couldn't afford to be boycotted by the search giant. When Spain passed its own link tax, the government tried to prevent newspapers from following the same path by forcing all news to have its own separate, unwaivable commercial right. Spanish publishers promptly lost 14% of their traffic and €10,000,000/year. All of this is good reason to scrap Article 11 altogether. The idea that creators can be "protected" by banning them from sharing their works is perverse. If copyright is supposed to protect creators' interests, it should protect all interests, including the interests of people who want their materials shared as widely as possible.